This chapter presents an overview and introduction to blood coagulation models. The historical exposure of the development of classical coagulation modeling theories is followed by a basic overview of blood coagulation biochemistry. The recent developments of cell-based models are explained in detail to demonstrate the current shift from the classical cascade/waterfall models. 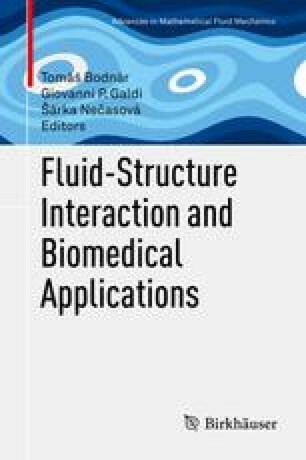 This phenomenological overview is followed by a survey of available mathematical concepts used to describe the blood coagulation process at various spatial scales including some of the related biophysical phenomena. A comprehensive survey of basic literature is provided for each of these topics. The financial support for the present project was partly provided by the Czech Science Foundation under the Grant No.201/09/0917 and by the Portuguese Science Foundation under The Research Center CEMAT-IST and under the Project EXCL/MAT-NAN/0114/2012.